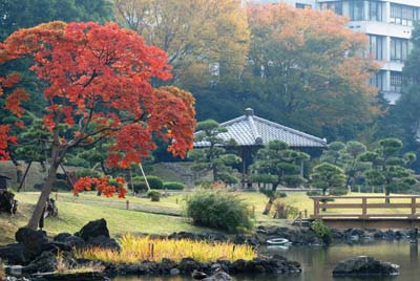 This garden is one of a pair of feudal era clan gardens surviving in Edo (modern-day Tokyo). The other is Koishikawa Korakuen Garden. 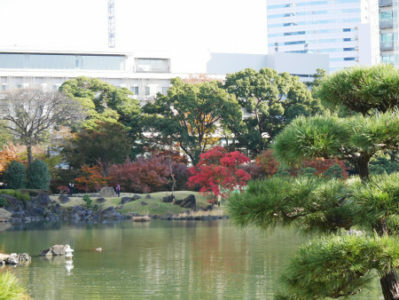 Kyu-Shiba-rikyu Garden is a classic, strolling, spring-fed garden pond-centered garden featuring rock and land formations. In June 1979, the garden was officially designated by the national government as a place of scenic beauty and special historic interest. Wax tree which is the main of autumn foliage in this garden will be the best time from late November to early December.